It is my pleasure today to host a guest post by Trevor McDonald, a blogger who is expert in the area of addictions, substance abuse and families. I read the studies cited below and they are surprising and worrying! Did you know that alcoholism is higher among widowers over the age of 75 than any other demographic group? If you were surprised, you’re not alone. It’s a shock to most people, but these stats shed light on an increasingly invisible problem. It’s difficult to put a true number on the problem because many seniors hide substance abuse from family and caregivers. It’s easy when they live on their own, as many seniors do, but the evidence is mounting to show that seniors in nursing homes and assisted living facilities are also abusing alcohol and/or drugs. Think for a moment about your aging relatives. How many medications do they take daily? Would you be comfortable with them mixing those meds with alcohol? And would you know if they did? In an informal poll, one in ten adults admitted that they don’t know exactly what substances their parents take, and 11% acknowledged that a parent over 60 consumed alcohol while taking prescription medication. How would your answers fare? The biggest problem with substance abuse in seniors is that it can be deadlier than in other age groups. Many popularly prescribed medications, including pain killers, cough suppressants and allergy remedies, contain more than one ingredient that can interact with alcohol. And that’s just the tip of the iceberg. Even if a senior isn’t taking any medication at all, aging slows the body’s ability to break down alcohol and other substances. This causes the substance to remain in the person’s system for a longer period. So while one drink every few hours may have been safe in younger years, that’s no longer the case. One reason substance abuse is so difficult to spot in seniors is that it is so easily explained away. It’s easier to chalk behaviors up to old age than it is to face an issue like elderly drug and alcohol addiction head on. But it’s time for us all to pay closer attention to the seniors in our lives. Noticing one sign on its own may or may not be cause for concern, but it could give you a reason to get more involved in your aging relatives life. 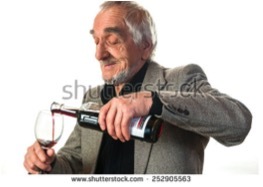 If you notice that your aging relative or patient is hitting the wine bottle too often, the worst thing you can do is stay quiet. This is a serious issue that has potential to shorten this person’s life, so you’ll want to take action. Talk to this person and offer to help find a treatment plan. If he or she is close to your heart, you may also want to offer more of your time. 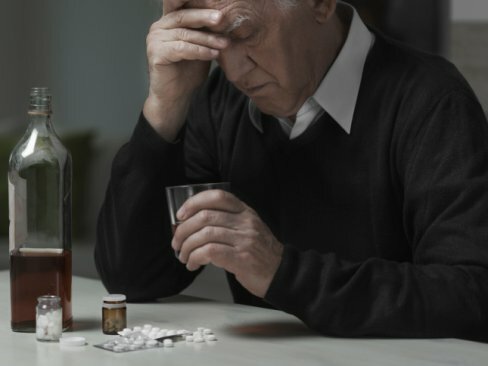 Substance abuse, especially in seniors, is often an outward sign of loneliness and depression.